Four 10/100/1000Mbit ports. MDI/X: cross/straight cable autodetection. 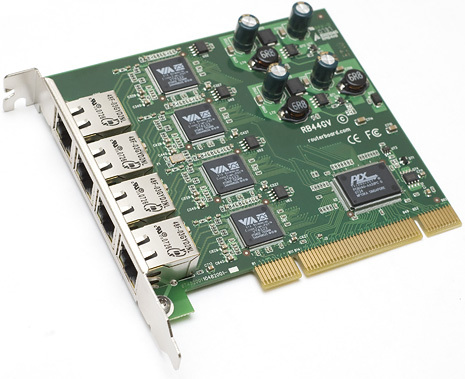 Standards support of IEEE 802.2 10BaseT, IEEE 802.3u 100BaseTX Fast Ethernet, Vlan 802.1q. OS Support from RouterOS, Linux, BSD, and Windows. Power consumption 8 watts.